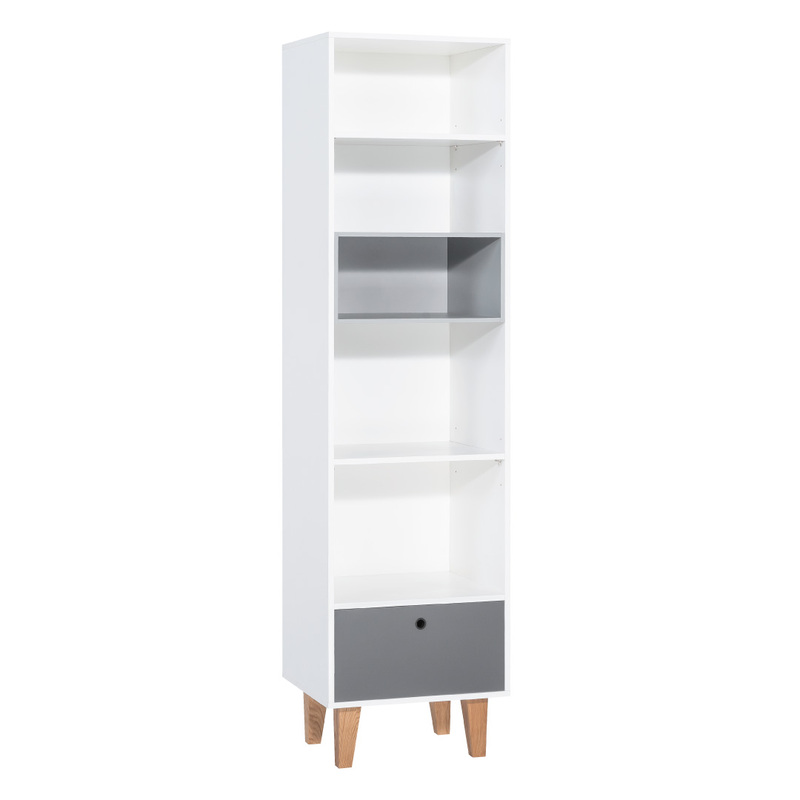 The Concept Narrow Bookcase by Vox features trendy colours that blend in beautifully with the rest of the furniture from the Concept collection. Delivery expected within 4 to 16 days. The Concept collection has specially selected finishes tailored to complement a contemporary environment. 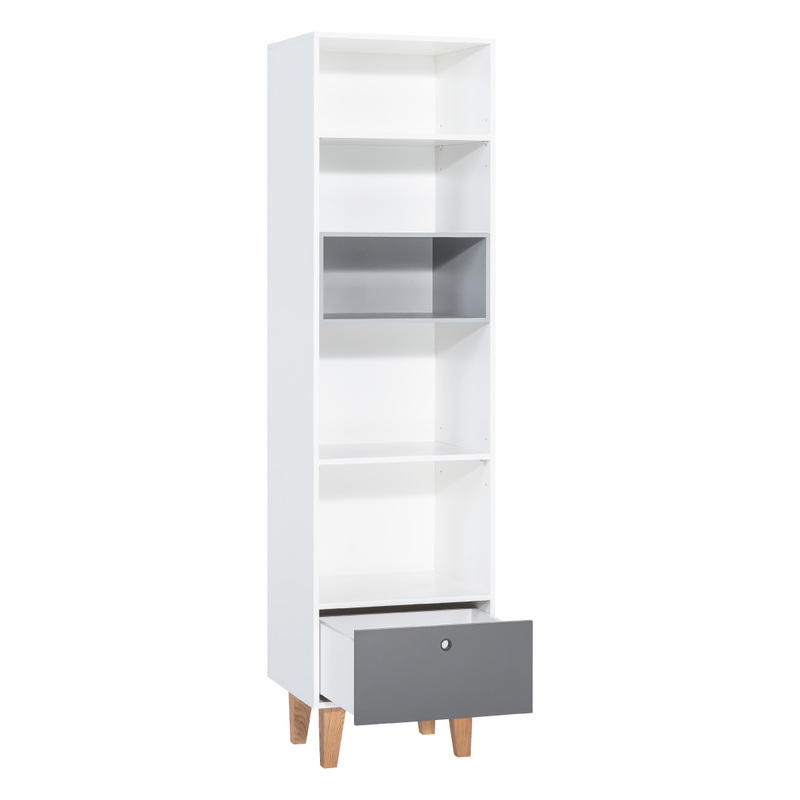 Perfect for teenagers and kids rooms, this bookcase features durable materials and sturdy construction. 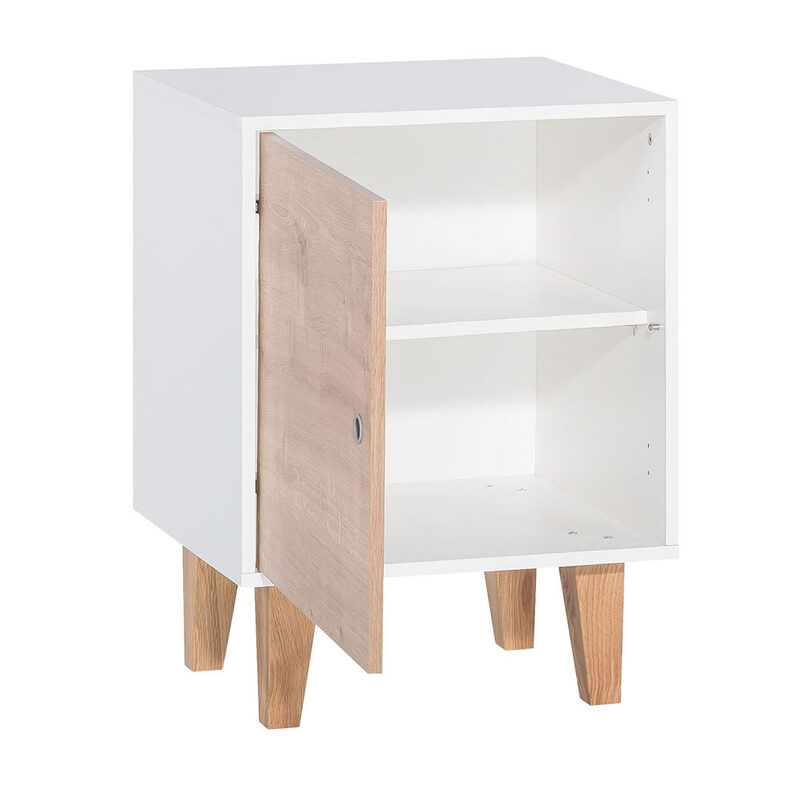 The white frame contains four adjustable shelves, with one light grey alcove in the middle for a decorative effect. At the bottom a large drawer on easy-slide rails allows for out-of-sight additional storage. 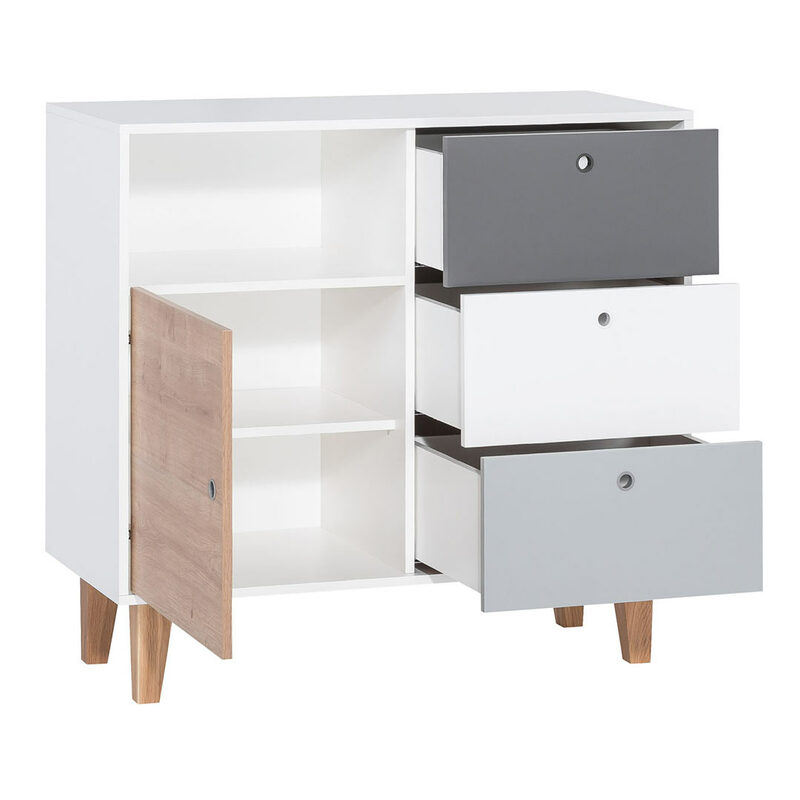 The drawer front in Graphite opens easily with the silicon tube finger holes blending into the colour fronts.